Directing for the Shakespeare for Schools Festival is a thrilling and transformative experience. During my graduate studies, I opted for an independent module called Directing Drama in Schools. For this module, I returned to St. Marylebone C of E school (I had volunteered there the semester before to assist with GCSE preparations) to direct their entry for the festival. 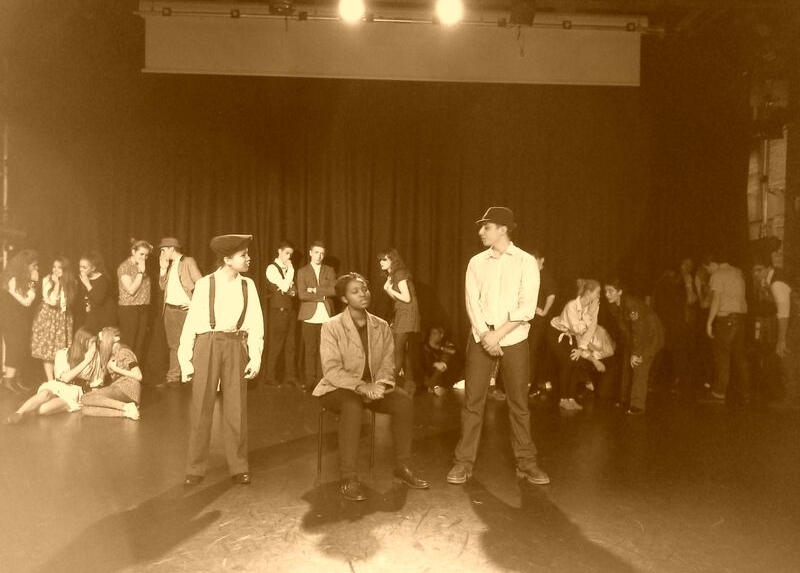 The festival entry was a piece produced by the Year 12 students and produced at The Shaw Theatre in London. The students were well versed in devising performance through movement, and creating contemporary performance with classical text. And, naturally, they had the accents down. We approached the piece from a feminist perspective – the world of the play has been turned upside down by men returning to a world that had learned to live without them. What would that mean for the women who had been liberated in their absence? We chose to stage the piece at the close of World War 2, which inspired a fierce, capable, and intelligent presence for the female characters. It was fascinating to approach that history with an English cast, as their relationship to the war is much different than mine as an American. One of our bigger aims was to establish the end of the play as a partnership based in equity and respect, rather than just another woman tamed by love. Through gender bent portrayals or patriarchs and military officials, elements of physical theatre, and lengthy discussion of gender politics in time of war, we crafted a truly enjoyable production.